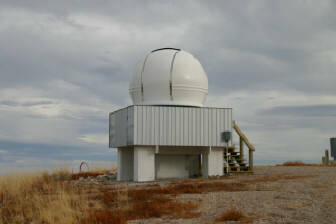 The Dragon Rock Observatory is a joint venture between four imaging buddies Michael Hernendez, Michael Reid, Michael Siniscalchi and Bud Guinn that started in the summer of 2010. It is built at the Sacramento Mountains Astronomy Park in Weed, New Mexico at an elevation of 7269 ft under some of the darkest skies in the US. Click on the image for the photo gallery. 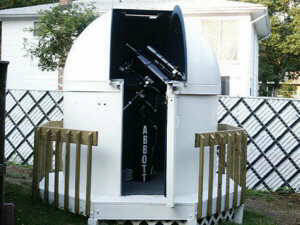 The Abbott Observatory was built in May 2005 in my back yard and I found it to be one of the best time savers when it comes to setting up and also makes the hobby much more enjoyable.